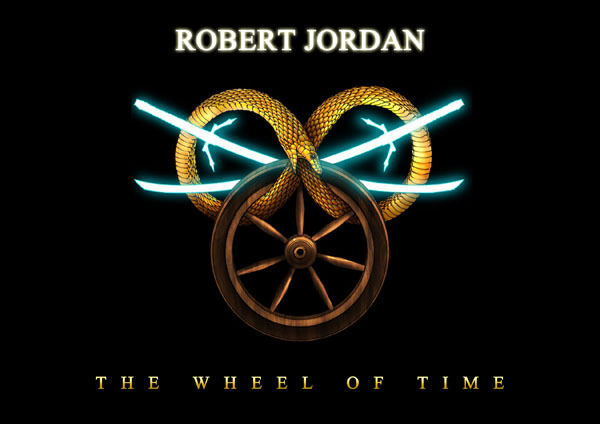 Robert Jordan’s Wheel of Time series: finally complete! 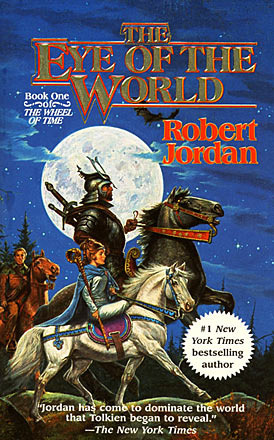 A copy of Eye of the World was given to me in 1990, which I began reading. I would’ve been 14 or 15 at the time. 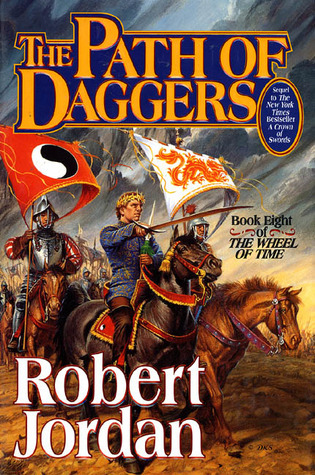 Now I’m 37 and have recently completed the final, concluding volume of the iconic fantasy series about a week ago. Since this has been by far the longest I’ve ever read or followed a series, I feel compelled to write down my thoughts concerning it. One gripe I did have about Eye, and it only grew more pronounced as I read The Great Hunt–book two of the series–was about the women. As opposed to the male characters, which were rich, diverse, likable and well-drawn, the female characters all seemed to have one trait in common: bitchiness. There were a few exceptions to this but most of the time to me they seemed insecure, prideful, domineering and overbearing. They sniffed at men (and each other) so much I thought it was a sign they were on cocaine or something. I was certain that if women did read the series they must not like the way they were portrayed until a few years later, while working at Barnes & Noble a co-worker of mine told me in passing that she loved the way Jordan wrote women! I was floored, to say the least. Barring that I continued the love the series, and Hunt lived up to my expectations. The following three books, The Dragon Reborn, The Shadow Rising and The Fires of Heaven were all absolutely first-class. I was 19 at this point and continued to devour the books, one after the other. I began buying them in hardcover–which is something I never do–so I’d have a nice copy of them that would endure. The characters seem to multiply like rabbits, though, and I did my best to keep up with all of them, particularly while waiting a year between publications. I didn’t really mind, I love that the plot got more complex and even more compelling if anything. 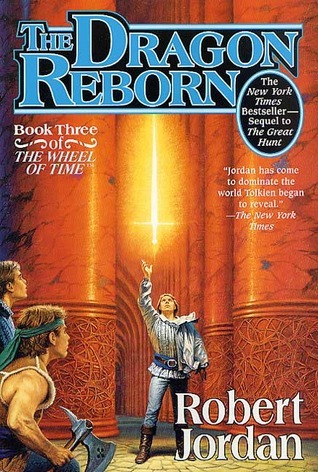 This was a stunningly rich world, and at the time Jordan was claiming he was writing a 10-book series. Five more books of awesomeness!? I was in heaven. Bear in mind that the average Jordan book was around 700+ pages in paperback, and some are significantly longer. The fact that he was able to crank them out fast enough to have them published every year was incredible. I’ve read an interview that said he initially thought the series would be maybe “four or five books” and by the time he finished Eye he thought he could do it in six. Little did he know then that it would end up being 14. The women were still mostly annoying, however. A few were actually okay, but most were just bossy, couldn’t wait to take offense for any reason, and seemed to enjoy making any man they were around feel foolish. Sure this is what some women are like in real life, but I didn’t want to be annoyed by them in a fantasy series too! Jordan said that he enjoys writing “strong women” and that these are the women he’s been surrounded by his entire life. I personally don’t consider that kind of behavior strength, but hey. The books were still really good, so I put up with it. Book six, Lord of Chaos, is where things started to change for me. I remember reading it and thinking this is a step down from previous books, and it was the first time I’d experienced it from Jordan. All authors, even those I love, have some books that are simply weaker than others. This was his first that was a bit weaker. It seemed like not a lot happened in its 1011 pages compared to previous ones, and there wasn’t something as riveting or spectacular as in previous ones. Ah well, I thought, nobody’s perfect. I waited for book seven. Then came Crown of Swords. Crown was the first book that took two years instead of the usual one, and this would be the pattern from then on. The added time didn’t help, as Crown was not good. Crown was, in fact, really bad. It’s not that Jordan suddenly forgot how to write, but that he had decided he would slow the pace down to a snail’s crawl, and keep it there as long as he could. The Path of Daggers, Winter’s Heart, Crossroads of Twilight and Knife of Dreams all had one thing in common: each one was somehow a little worse than the last. Between books eight and nine he wrote a prequel called New Spring. I actually haven’t read New Spring, maybe I will someday. I hope it’s better. These five books though, Crown through Knife (1996 – 2005) were the roughest patch of the series by far. A lot of the fans of the series just stopped reading it, and frankly it’s hard to blame them. They were downright boring, at least the majority of the time, and how many books can you read that are boring, hoping at some point they will reclaim the glory from years past? I will say though, that there was at least something exciting in each book, even here. I kept plowing through them, hoping against hope. I was 30 years old now and it had been a rough nine years. I still maintain that those five books could have been easily condensed down into about two or three without any problem at all. 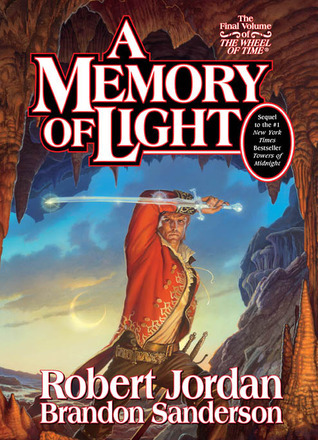 Then things got worse: Robert Jordan died in September, 2007. The dude died! Speculation ran rampant about if the series would be completed, and if so how and by whom? Harriet McDougal, Jordan’s wife and editor, didn’t waste time finding someone, because that December the publisher, Tor, announced that Brandon Sanderson would finish writing the series using the extensive notes that Jordan had kept, knowing he was near the end of his life. Evidently Harriet liked Sanderson’s books and also really liked a eulogy he had written about Jordan. I’d never heard of him and I don’t know that anyone else had either. I quickly looked around and bought a novel of his, Elantris, to see what I thought of him. Elantris was excellent, and has led to me reading his other novels as well. I had hope! Sanderson took his time, not publishing book twelve, The Gathering Storm, until 2009. I can’t blame him I suppose, he had quite a responsibility and everyone was waiting to see if it would be any good. I’m here to tell you it was! It was so good I was almost glad Jordan died; TGS picked up the pace and start tying all of the plot threads together like some kind of master weaver. Sanderson was working closely with Harriet which probably helped preserve Jordan’s style, and was frankly a joy to read! It wasn’t up there with Jordan’s best, but it was so much better than the past five books that I hardly cared. He’d announced that the series would be finished in three books, and he delivered. The final two, Towers of Midnight and A Memory of Light completed the series as of January 8th, 2013. I’m not sure how any ending could have lived up to a 23 year build-up, but I think the ending was really good and the whole second half of the final book was especially fantastic. Now it’s over. I’ve been pondering how I will view the series as a whole. It’s impossible to ignore its impact, the series has sold upwards of 50 million copies worldwide and that will continue, it’s influenced an entire generation of novelists and people have been comparing him to Tolkien since Eye of the World. It’s certainly not without its flaws though. The women do get better after Sanderson takes over, but for most of the time I didn’t find them that likable and many of their personalities were interchangeable. That five-book stretch is pretty dreadful. Still, at it’s best nothing Tolkien ever wrote surpassed it. A more intricate, detailed and frankly monumental tale has hardly been told in the annals of fiction; it’s a finer series than Harry Potter, has more magic and as much politics as Martin’s A Game of Thrones, and is even more ambitious than Lord of the Rings. Ultimately I view the series as a success, as the majority of it was simply excellent storytelling. I’m not sure what writer could have maintained such a high level of writing over the course of 14 books. Would I recommend the series to a friend? That’s a tough one. It’s not for everyone, and there are definitely stretches where you will have to plow through, but even given the series’ enormous complexity and scope it still has the ability to appeal to a ton of folks. For serious students of fantasy I’d have them read the first book and say let the Dragon ride again on the winds of time! Categories: Book Reviews | Tags: A Crown of Swords, A Memory of Light, Crossroads of Twilight, Crown of Swords, Eye of the World, Fires of Heaven, Knife of Dreams, Lord of Chaos, Path of Daggers, Rand al'Thor, Robert Jordan, The Dragon Reborn, The Gathering Storm, The Great Hunt, The Shadow Rising, Towers of Midnight, Wheel of Time, Winter's Heart | Permalink.